"Our deepest fear is not that we are inadequate. Our deepest fear is that we are powerful beyond measure. It is our light, not our darkness that most frightens us. We ask ourselves, Who am I to be brilliant, gorgeous, talented, and fabulous? Actually, who are you not to be?" And yet so often we talk ourselves out of taking the plunge and trying something new, even if we might fail miserably. We might also succeed, but one thing is certain: without trying, we CAN'T succeed. Take a chance this year. Try something that terrifies you. Get out and live to your fullest potential. And speaking of IWSG, guess what?!? I made it into the contest anthology. I'm so stoked! 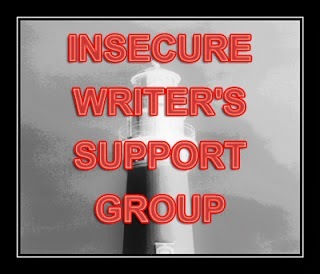 A huge thank you to my EPIC beta readers Stewart West, Misha Gericke, Tammy Theriault, Annalisa Crawford, and Eric Price (featured below), the wonderful IWSG team who pulled the publishing opportunity together, and all the judges for the hours they dedicated. Hop around and meet today's superstar hosts for IWSG: L.G. Keltner, Denise Covey, Sheri Larsen, J.Q. Rose, Chemist Ken, and Michelle Wallace! Oh, and I have my LAST free story from LQR for you today. Now how about a giveaway? 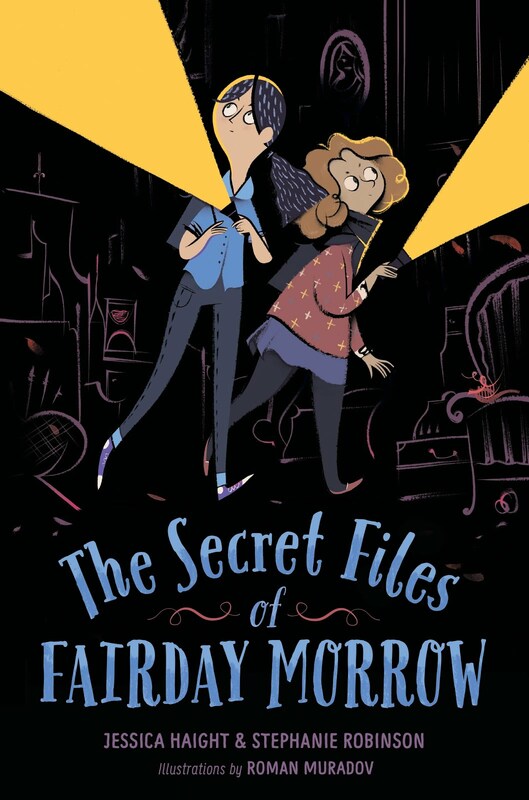 Last month Jessica Haight and Stephanie Robinson shared with us a THE SECRET FILES OF FAIRDAY MORROW, along with two truths and a lie each. Those who guessed the lie correctly were entered into a random drawing for the chance to win a signed hardcover. 1. I do not have a cell phone, nor do I want one. 2. I love the feel of flannel, and I like to have flannel sheets even in the summer. 3. I am a fan of graphic novels, and someday I plan to write one of my own. The lie: #2. Jess actually HATES the feel of flannel and would NEVER use flannel sheets in the summer­--it would be torture. 1. I’ve never eaten a Big Mac or Whopper. 2. I love hot dogs with baked beans and coleslaw. The perfect easy meal and delicious too! 3. Sardines with or without crackers are a delectable treat that I can’t resist. The lie: #2. From Stephanie: Every Saturday when my father was home from traveling we’d have hot dogs, baked beans, and coleslaw. All of which I detest. I’d have to sit at the table for a long time, because I wouldn’t touch the food. Eventually I learned to eat as fast as possible while it was still hot, and to this day I still don’t like any part of this meal. CLC’s Best First Novel 2014! As the only son to King Kendrick, Owen despises the idea of being king one day. Magician may be the only career he’d like less. He has dreaded the days leading up to his fifteenth birthday, when his father will certainly declare Owen heir to the throne. But at the birthday celebration, his father falls ill. The only person in the kingdom that may be able to save him is a magician–the very same magician Owen holds responsible for the death of his mother. Owen and his companions will have to travel the continent of Wittatun in search of the cure for King Kendrick. On the journey, they will battle strange beasts and harsh climates, befriend extraordinary magicians, and meet a dragon before returning to Innes Castle–where much has happened in the days since they departed. And also up for grabs today, the sequel! After the adventure to save King Kendrick, Yara's everyday life has grown monotonous. The dull work of learning her father’s blacksmithing trade and the pressure from her parents to decide what she plans on doing with her life has her nerves too stressed. Lucky for her, a surprise messenger from the castle brings the king’s request. She's to join a collaborative mission between the Central and Western Domains of Wittatun to stop a recently discovered slave operation in a land to the west. It's imperative she keep secret not only her magical abilities from any possible traitors, but also her gender. The people of the Western Domain have a superstition prohibiting girls from sailing. But a chill wind carries the distinct odor of sabotage. Can one girl survive to destroy an evil rooted much deeper than mere slavery? Eric Price lives with his wife and two sons in northwest Iowa. 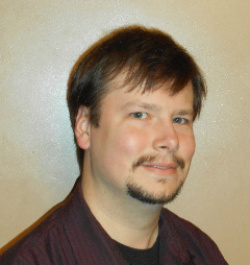 He began publishing in 2008 when he started writing a quarterly column for a local newspaper. Later that same year he published his first work of fiction, a spooky children’s story called Ghost Bed and Ghoul Breakfast. Since then, he has written stories for children, young adults, and adults. Three of his science fiction stories have won honorable mention from the CrossTime Annual Science Fiction Contest. 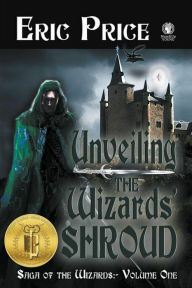 His first YA fantasy novel, Unveiling the Wizards’ Shroud, received the Children’s Literary Classics Seal of Approval and the Literary Classics Award for Best First Novel. Unveiling the Wizards' Shroud is now available in paperback and eBook. 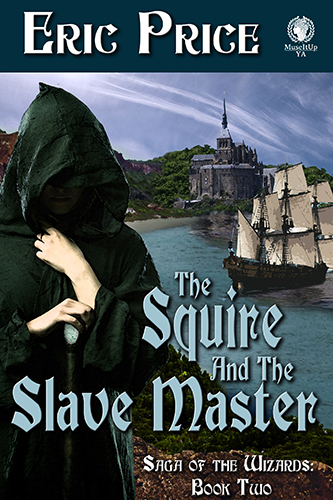 His second novel, The Squire and the Slave Master, came out in November. It continues the Saga of the Wizards. He is a member of SCBWI. Find him online at authorericprice.com. You have until Tuesday, January 12 at 1 p.m. EDT to guess. Be sure to come back for the answers on January 13. 1. I know some guys in a local St. Louis band called Earl. Back stage at one of their shows at the Pageant, they asked me to go out after the break and play bass, which I did. 2. I've met Rob Zombie. In a strange sort of creepy, quazi-ironic way, I met him on Easter Sunday. 3. I have a tendency to win front row seats to concerts. I've seen Billy Joel, Elton John, and Tom Petty and the Heartbreakers all from the front row. So sleuths, which is the lie? How are you ringing in the new year? What are your goals for 2016? Do you like epic fantasy novels? That's great news about the anthology, Crystal. I'm glad I could help. You wrote an entertaining story. Congrats on the anthology! Sometimes (although not always) I am kind of scared of success, so that keeps me from trying just as much as fear of failure. Hooray!! Huge congrats on making it into the anthology!! And I love that quote as well. Perfect. That World Peace in a Box excerpt by Crystal Collier was so intriguing. Congratulations to J.H. Moncrieff. I was only half right. Happy New Year Crystal and congrats! I tink 1 is the lie. Jules Dear! You're here as well? What an inspiring post and the world sure needs a story about peace. I hope a lot of people read your story. It might start them to thinking. Have a wonderful 2016. Oh, and congratulations on your story being in the anthology. I'm looking forward to reading it. Hey, congrats on the anthology! That's awesome!! I'm going to guess the lie is #1. Congratulations on making it into the anthology! I can't wait to read it! Yay, congrats! Here's to 2016! Love that Williamson quote. I've read it before and this is a great reminder - thank you! Congrats on getting into the anthology! That horse clip is epic. Love it. Congrats on winning the anthology contest. So so cool, Crystal.And Marianne's quote is one of my all time favorites. Thanks for reminding me of it. Happy New Year, Crystal! Really pleased you started off with such good news. Many congratulations. Great post!! I love, love, LOVE that quote. I'm going to write it down an keep it posted on my computer. Way to go on the anthology! Hope that horsey was OK after that jump! Dazzling Dezzmeister! Why am I not surprised to find you here? Holy face-planting horses, Batman! That horse is lucky to still be alive. I've known both horses and riders to be killed by horses that landed on their backs. Congrats on winning a place in the anthology!! Woohoo!! Wishing you many more successes in 2016! Congrats on making it into the anthology! What a great way to start the new year. That video of the horse ... ow! Congrats on making the anthology! Congratulations on making it into the anthology! What a cool accomplishment. And I love the quote you shared. I took a baby step toward a writing opportunity that may or may not pan out at the end of last year. I am still doubting myself, but I'm glad I went for it instead of saying no, I'm not ready. I'm still convinced I'm a new writer despite a good few years of solid practice and learning and a pending book deal! I have to remind myself to take those plunges so I can grow. Congrats on making it into the anthology. I'm going to say the first one is the lie. And I hope that horse in the clip was okay. Yay, wizards! Let's see, #3 for the lie? Congratulations! Your story was awesome. I really hope the second one is true, because meeting Rob Zombie would be great. Even on Easter. I'll say number three is the lie. Congrats on making it into the anthology. Happy New Year, Crystal! Yeah! Congrats, Crystal. Nice to be anthology buddies! That poor horse. He's scared to death. Hope he's not headed for the slaughterhouse, where I hear a lot of them end up. Yes, Congratulations! A glass of bubbly later? Isn't it exciting. "who are you not to be?" I love that! Congrats on being selected for the Anthology! Hmm, I'll say 3 is the lie. I think #1 is the lie but I hope it isn't because that would be cool. Congrats to you, Crystal. A huge congratulations for making into the anthology! That is so awesome. You are such a talented writer, so it certainly doesn't surprise me! Hello Sherry! You're here too? Yay congratulations on the anthology! I look forward to seeing all the stories in print. Happy New Year, Crystal. I'm up for taking chances, but I hope I don't land on my back like that horse. Looks painful! I'm looking forward to reading your story in the anthology. Congrats. Congrats on the anthology! I really hope that horse didn't break anything in the GIF. Happy new year! And congrats on the anthology! Love the quote you chose for today - it's wonderful! And the lie . . . #3? Congratulations on your win. How wonderful. I finished my third novel and before diving back into that pool I'm going to test the waters on a couple of $.99 books and revitalize a children's book I wrote back in 2007. Congratulations on making it into the anthology! Love that quote:) And huge congrats on getting into the anthology. What a great start to the new year. AWESOME! I am so thrilled for you! CONGRATS!!!!! Enjoyed your piece on WORLD PEACE... Thanks for sharing. All the best this year, Crystal! It looks like you're off to a great start! Congrats on getting into the anthology! Here's to looking forward to a great year for all of us. Congratulations on getting into the Anthology Crystal. And I loved the "take a risk" advice so much I put it on my blog side bar. Good advice. Nice to meet you Eric; and good luck with the books. Congratulations on getting selected for the anthology! That's a heart string pulling beginning to a story. CONGRATS! that very cool news. Poor horsey! :( But it looked like he was rolling up and getting on with it. Hi Crystal! Happy New Year! It's certainly started with a bang for you. Congratulations on making it into the Anthology! And for thanking your helpers. Nice to meet Eric. We need each other so here's to great critique partners, editors, collaborators and cheer squads in 2016! Again, I say you are awesome, Crystal. And congrats on your story. I truly loved it. Ah my dear friend Lynda. Now, let's talk about your next cruise.... I still haven't recovered from my bout of jealousy. Congratulations on the contest anthology! Nice job on making it into the anthology. You are so right about stepping out of the safe place to challenge yourself. I need to do more of this. What a great way to begin 2016! Congratulations on making it into the IWSG anthology, Crystal. And best of luck to Eric with Saga of the Wizards. Taking risks can be scary, but we really should. Thanks for the reminder. I have no clue which is the lie. I'll go with 3. Congratulations on the anthology. I thought about entering, but life got in the way. At least I have a story idea ready for next time. Happy New Year, and congratulations on making it into that anthology! I'd say that's a pretty darned epic way to start the year, wouldn't you? Okay, I stink at picking the lies, but I'll give it another go. Let's say the fib is #1. Congrats on making it into the anthology. I do like that Williamson quote, but I don't know if I believe it to be true. At least not for me. I am going to guess that #3 is the lie. Congrats Crystal so happy for you. Be brilliant. I was excited to see your name on the list of winners. Yay! As for the truth or lie, I'm going to go with #1. I bet most of it is true, but he didn't go out to play bass. Congratulations on making it into the anthology! The quote about fearing our power is one of my all time favorites! Congrats on your entry in the anthology. Risks can be scary. Not taking risks is boring. Go for it! Best wishes. Congratulations, Crystal! It's so fun to see writers I recognize winning a spot in the anthology! Wishing you wonderful things in 2016! Happy New Year, Chrystal! Congratulations! 2016 is definitely starting off great for you. Thank you for the great quote above. It really resonated with me. Good luck with your first novel! Congratulations! I have always loved the Williamson quote. It's always been true for me. I'm routinely doing what terrifies me...sometimes losing sleep, but moving forward nonetheless. It feels good to be brave. Congrats on getting into the anthology, Crystal! That's awesome! Very happy for you. I'm thrilled to have won the book. I usually don't win anything. My guess is the lie is #2. He met Rob Zombie, but not on Easter Sunday. Congratulations on the win!! You are a master of the short. Congrats on winning! Wonderful news!! Congratulations on placing in the Anthology! Awesome! That quote is one of my all time favorites. I was sadly raised to keep my light dim and it took decades to get over that. Huge congratulations on making it into the Anthology! I cannot wait to read it. Happy New Year! Yay! Thank you Crystal, for checking out Crimson Earth. :) I have a slew of books in my TBR and am actually getting quite depressed at being so behind on my reading. Onto your post - I just LOVE that quote. How very true and profound. Huge congrats on making it into the Anthology. Looking forward to hearing more!! Woot! Can't wait to read your anthology story, girl!! Cheers to a New Year of being fabulous and eating the best cheese!! That quote Marianne quote has got me through some dark periods of self-doubt. Congratulations on the anthology! Big congrats to you on making the anthology. Awesome news about the anthology, congratulations! Congrats on getting into the anthology! How exciting!! Congratulations on getting into the anthology! And I like the idea of being afraid to succeed, rather than being afraid to fail. It's a lot easier to overcome that, because it seems like success is something desirable. I'll have to think on this some more, but it's interesting. way to go! i can't wait to read all the great stories in the anthology! I love Yara and her dangerous tale! And Eric is probably a great bass player, but I don't think he played with the band... hope i'm wrong, but all those things are so cool! Congrats on getting into the anthology! I think that pretty well illustrates your opening statement. Hope it sets the tone for a great year. Nice to meet Eric. All the facts are cool and I haven't got a clue which is the lie, so I'm going to take a stab at #2. Congrats on making it into the IWSG Anthology. Congratulations on the anthology, Crystal! Way to go! I hope to make this year one of taking risks, letting go, having fun, and exploring everything. I got off to a bumpy start, but I'm hoping things will get better. Congratulations on getting into the anthology! Awesome! Gosh, figuring out the lie this week is tough. Taking a stab in the dark: number 2? Congratulations on having your story in the anthology! Can't wait to read it. That is a great quote and a great challenge for the year. I do need to try more with my writing this year. Congrats on making it in the anthology!